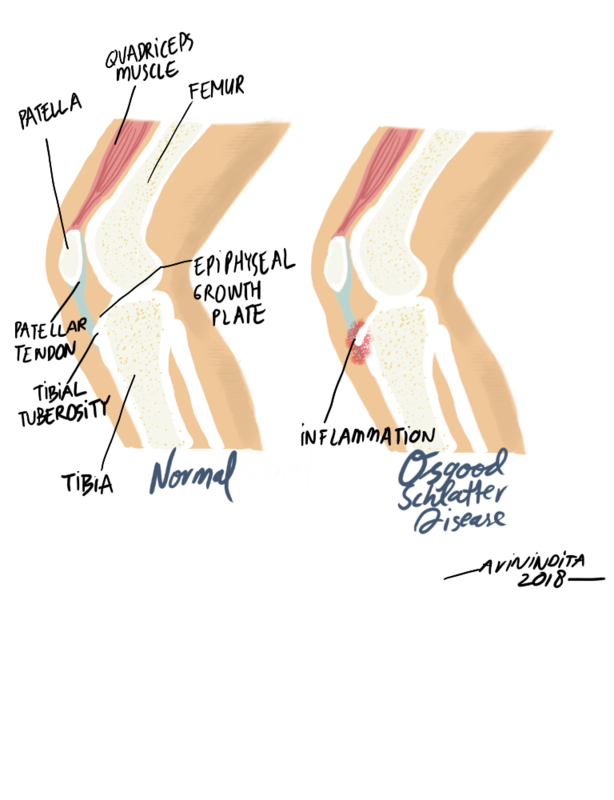 Overview In this common disorder of adolescence the tibial tubercle becomes painful and ‘swollen’. Although often called osteochondritis and apophysitis, it is nothing more than a traction injury of the apophysis into which part of the patellar tendon is attached. 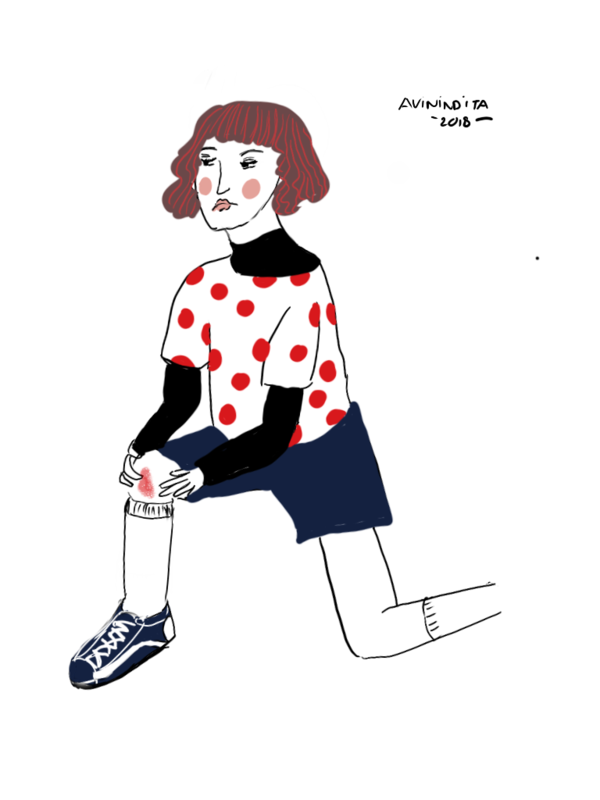 Osgood-Schaltter disease typically occurs during the early adolescent growth spurt between 10-15 years of age, particularly in children who participate in sports that involve running and jumping. There is no history of injury and sometimes the condition is bilateral. A young adolescent complaints of pain after activity, and of a lump. 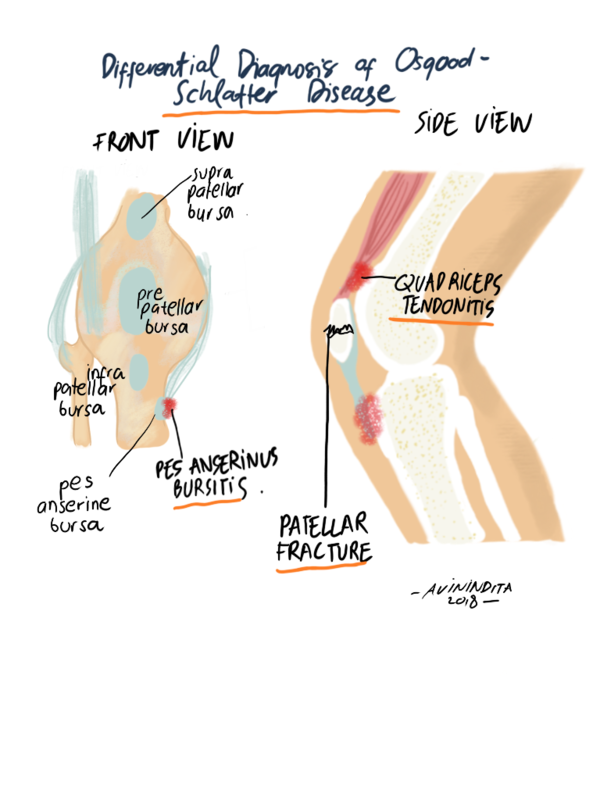 The lump is tender and its situation over the tibial tuberosity is diagnostic. 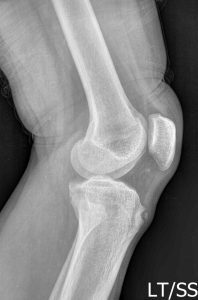 Sometimes, active extension of the knee against resistance is painful and X rays may reveal fragmentation of the apophysis. OSD occurs from repetitive quadriceps contraction such as jumping and running. 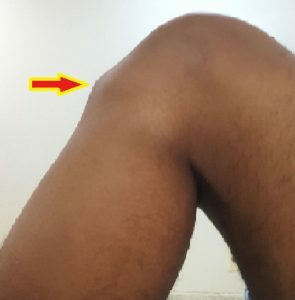 Quadriceps contraction occurs through the patellar tendon at its insertion upon the skeletally immature tibial tubercle during its apophysis transformation and fusion between 11-18 years of age. Restrict activities such as cycling, jumping, and soccer. Occasionally is symptoms persist a separate ossicle in the tendon is usually responsible. Surgery may be indicated. The prognosis in Osgood-Schlatter disease is excellent. It is usually self-limiting and resolves by the time the patient is aged 18 years, when the tibial tubercle apophysis ossifies.